The Lincoln Memorial University Women’s Soccer Winter ID Camp is on December 16. It will take place at the Lincoln Memorial University Soccer Complex. Its goal is to allow players to experience a collegiate level training and competition. Furthermore, the camp is an excellent opportunity for those who want to play at the collegiate level. It includes a campus tour and a admissions information session. Running this 1-day training program is the Lincoln Memorial University women’s soccer coaching staff. It is set to start at 10:00 AM and end at 5:00 PM. Overall, the experience will be challenging but fun. Lincoln Memorial University is a private, coeducational, non-profit, liberal arts university in Harrogate, Tennessee. Among its accreditations are from the Southern Association of Colleges and Schools and American Bar Association. Its DeBusk College of Osteopathic Medicine also has an accreditation from the Commission on Osteopathic College Accreditation. Furthermore, the university is 80th in Regional Universities South, 2018 edition of Best Colleges rankings. It has an undergraduate student population of around 1,700 with acceptance rate the 69 percent. The student to faculty ratio is 13:1. The university takes part in NCAA Division II in the South Atlantic Conference with its 22 athletics teams. The athletes’ nickname is Railsplitters while blue and gray are their official colors. The Lady Railsplitters are the 2007 SAC Champions. They are also the 1996 and 2004 GSC Regular Season Champions. The new head coach of the Lincoln Memorial University women’s soccer team is Sean Fraser, a native of Durham, England. He is the former University of Charleston assistant coach. He is also the former head coach of Midland University’s men’s soccer team. Coach Sean Fraser is a UEFA A, B and C License holder. Then, the Lady Railsplitters assistant coach is Brian Davidson. Meanwhile, Fernanda Miaci is the graduate assistant coach. Finally, Sarah Acerbo is the Lincoln Memorial University women’s soccer team’s athletic trainer. 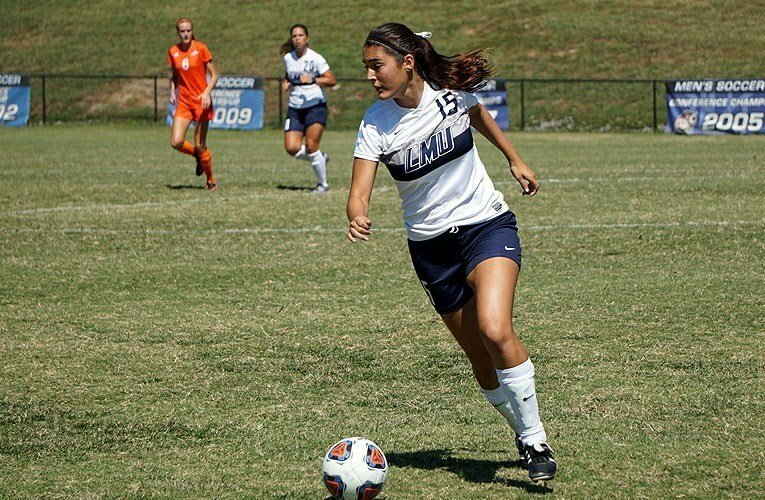 The Lincoln Memorial University Women's Soccer Winter ID Camp's goal is to allow players to experience a collegiate level training and competition.